I’m probably one of those people who leads by example a little bit more. SHELLEY Scott was never destined to lead. She’s softly spoken, extremely shy and a quiet achiever. 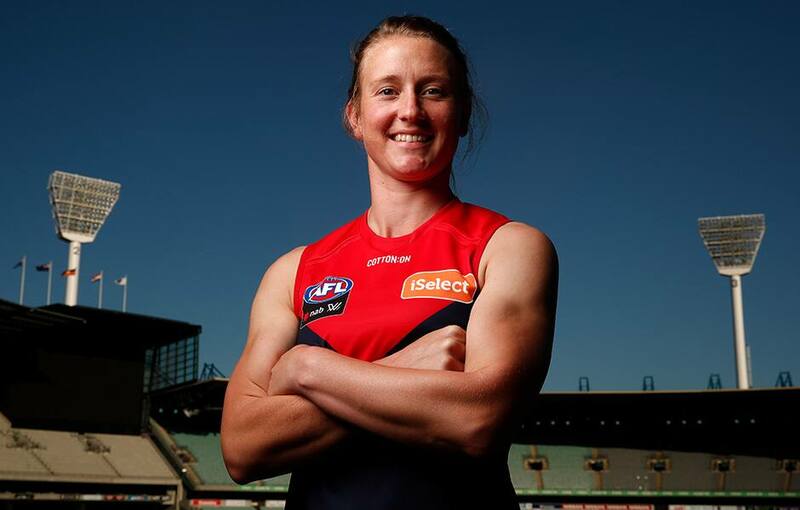 But the 30-year-old has continuously grown during her time at Melbourne and is now preparing to captain the club for the 2019 season – an honour which took her by surprise. “I think after last year I personally took on a little bit more of a leadership role for this year, but I wasn’t really expecting it all,” Scott told Melbourne Media. Scott is universally admired by her teammates and was voted in for the role by her peers. And while she’s excited by the opportunity, she says her leadership qualities are different to many others. “I’m probably one of those people who leads by example a little bit more,” she said. “Actions speak louder than words, I guess. “But in saying that, it’s so important to be communicating with your teammates and I think that’s something I bring to the table. The co-captain comes out of her shell when the game is on the line, but also has the benefit of sharing the load with Elise O’Dea this season. “I think we complement each other well,” Scott said. As the season edges closer, Scott is ready to get stuck into some match practice and test the team’s chemistry out in the middle. And Scott is expecting big things from her side with some strong relationships developing over the summer. “It’s a great team environment,” she said. With a new-look side in 2019, Scott says the bond between players has strengthened yet again as the club continues to develop in its third year of existence. “I think we all naturally jelled quite well together,” Scott said. “Everyone just gets along. I don’t think we’ve had to work at it, it’s just something that’s happened. With the season just around the corner, the Demons will take on the North Melbourne Tasmanian Kangaroos in a practice match at Casey Fields on Saturday morning.